There are few who have never heard of “Rent”. The show, which ran for 12 years, became one of the most easily recognizable productions in Broadway history, so much that even people who have no clue what the show is about will know the name. Unfortunately, many people never got the chance to see it live before it ended. 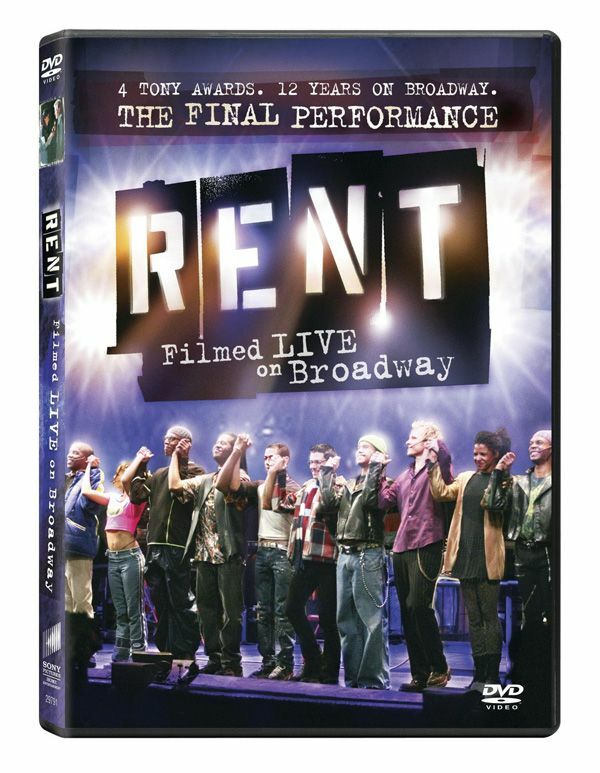 In response to this, Sony Pictures released “Rent: Filmed LIVE on Broadway”, an actually high quality DVD that, while not being completely as awe inspiring as the live show, delivers an enjoyable watching experience. The story itself follows the lives of a group of poor, young adults, who are doing their best to live out their dreams in the harsh streets of <?xml:namespace prefix = st1 ns = "urn:schemas-microsoft-com:office:smarttags" />New York. There’s Mark, an aspiring film maker who also serves as the narrator of the show, Roger, a past rock star who wants nothing more than to write one great song Mimi, an exotic dancer who is as wild as they come, along with a slew of others. The group of friends collides and conflicts, as each one’s life takes them in often painful directions, and all must do their best to survive in the world while keeping their spirits high. Unfortunately, the DVD kind of alienates itself from two different audiences (the theater fans and the film watching crowd) in completely different ways. One thing you’ll notice right off the bat is that the live production isn’t as easily accessible as the movie that was released a few years ago. With films, you can have multiple set changes, vastly different camera angles, and so on, that you just can’t pull of with an on-stage performance. Also, since the film can use a few more tricks than a stage can, it almost gives the show a bit more of a ‘real life’ feel, instead of a musical, which, again, can be distracting. Because of this, the DVD might not appeal to the standard film audience. As far as live productions go, the camera work was done phenomenally well. There are a good number of camera changes, close ups and angles that do the recording justice, which serves to also distract the theater audience. When watching an on stage production, you witness the whole stage in one picture, and the varying camera angles and viewpoint switches give the show a bit more of a film feeling than a Broadway musical, which might somewhat dismantle the ‘live’ feeling that many would hope for. As far as the cast goes, there aren’t many better out there. Each actor in the show does a great job in playing their role, and each is a very accomplished singer. Though some might find a few of the past cast members irreplaceable, the last run cast does a the show justice, particularly Justin Johnston (who plays Angel, the gold hearted transvestite) and Michael McElroy (who plays Tom Collins, Angel’s partner who dreams of opening a restaurant in Santa Fe). The two actors work very well together, and seem to steal the show in a few scenes. The DVD itself actually contains a few interesting features. 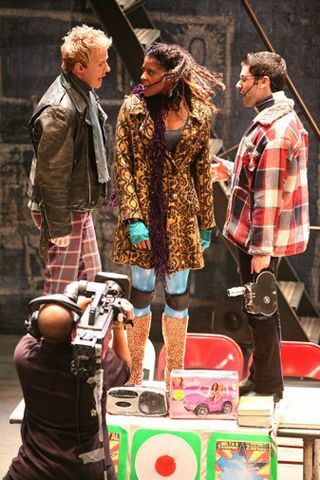 Instead of the standard trailer or commercial, the features include the documentary, “Rent: The Final Days on Broadway”, a small clip of past and present cast members singing the shows very famous song, “Seasons of Love”, and a viewing of what became known as, “The Wall”. The extras here are definitely worth the viewing, particularly the documentary, as it was very well put together, and the wall, simply because of the intrigue factor of it. As far as DVDs go, this one is worth the viewing, even with its production shortcomings, which are rather impossible to overcome. The mixing of stage and film, two mediums which seem very similar yet are very different, will always produce a sort of amalgam which can’t fully please one audience or another, though this is easily overcome by the story itself.